If you have Google Analytics on your website (which you probably do), you can have Gift Up! record your gift card sales as e-commerce orders. To do this you will need your Analytics Property ID from your Google Analytics account. The tracking ID is a string like UA-000000-2. 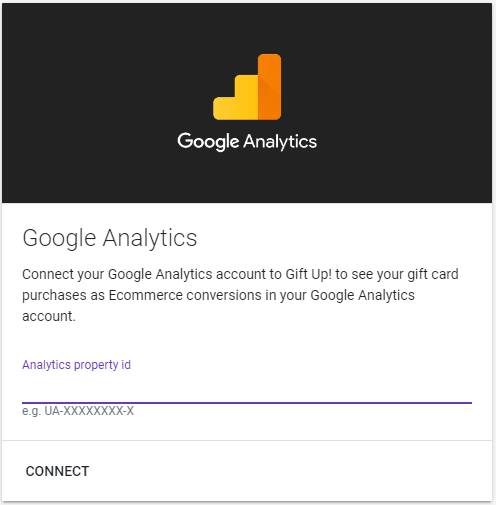 Once you've connected Google Analytics to Gift Up! 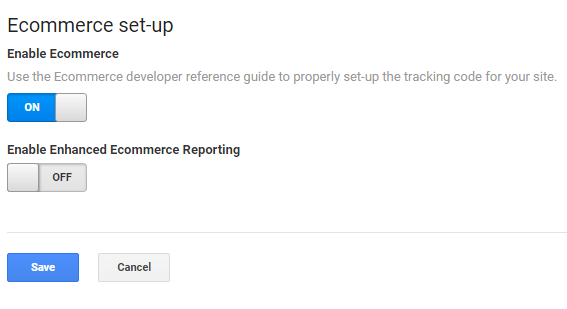 you will need to ensure that Google Analytics has "ECommerce tracking" enabled for each view that you want to see the conversions for.